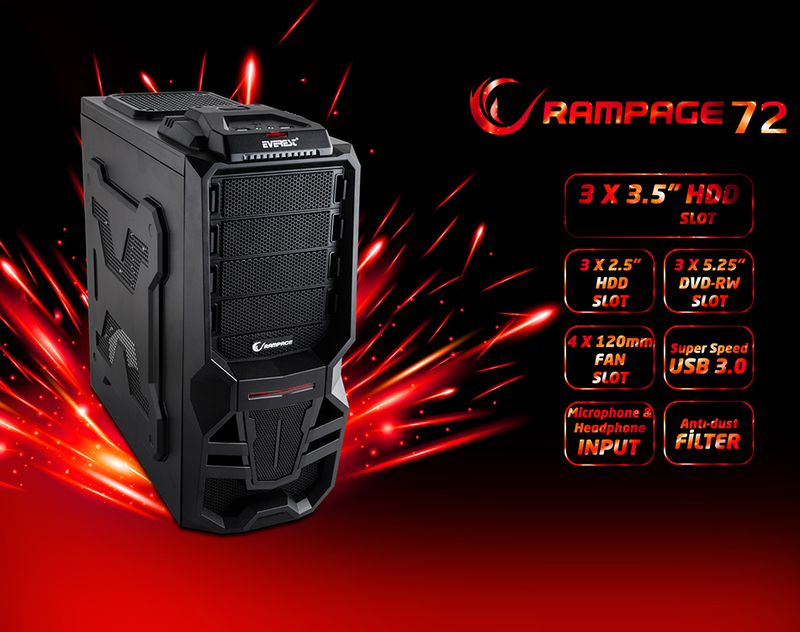 Everest Rampage 72 Black USB 3.0 12cm Led Fan Gaming Case; Case equipped with gaming feature and it has 120mm 4 fan slots. 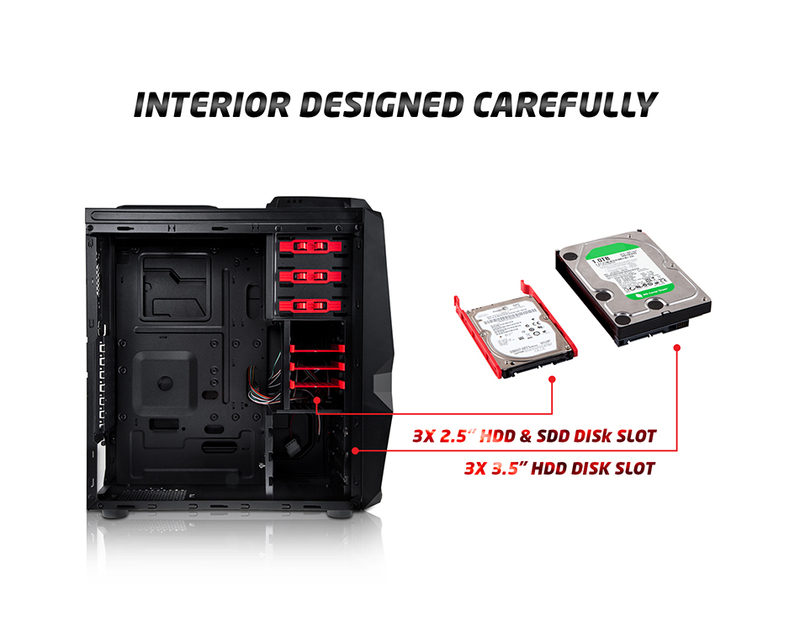 Also in our case 3x5.25 "DVD-RW, 3x3.5" HDD, 3X2.5 "SSD & HDD slot allows you to connect multiple devices at the same time and screwless way allows easy fitting. 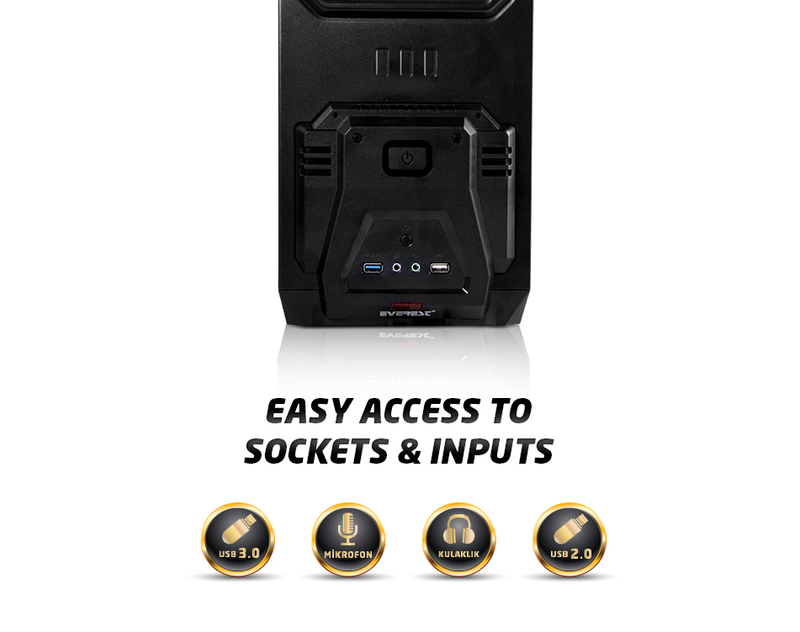 Everest Rampage 72 Black USB 3.0 12cm Led Fan Gaming Case; Easy access to the sockets and inputs located on the box which makes it more useful. This allows you to easily connect your headsets, microphone and USB. 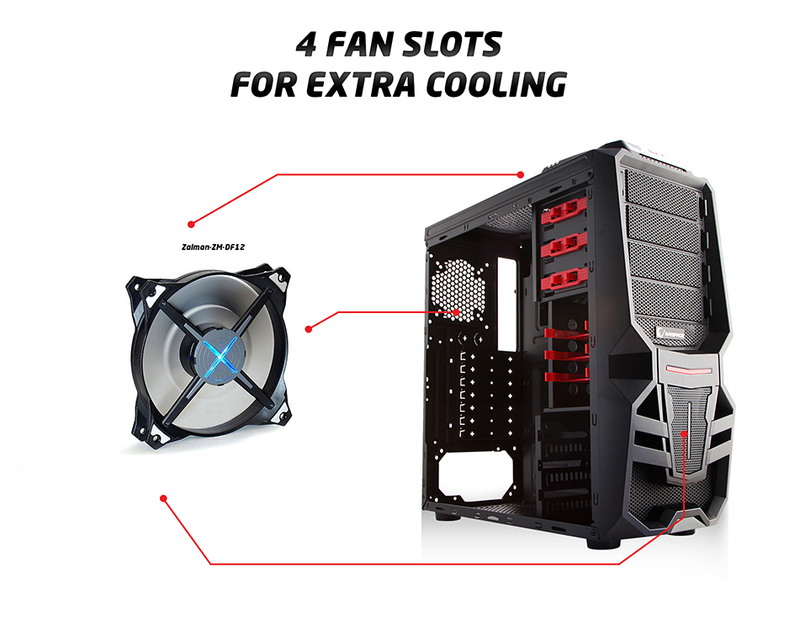 Everest Rampage 72 Black USB 3.0 12cm Led Fan Gaming Case; You can easily insert and remove your device from clamp cover. Instead of the clamping device that you have removed the back cover which unlike other empty space in the cases covered by inserting visual pollution can prevent the formation. 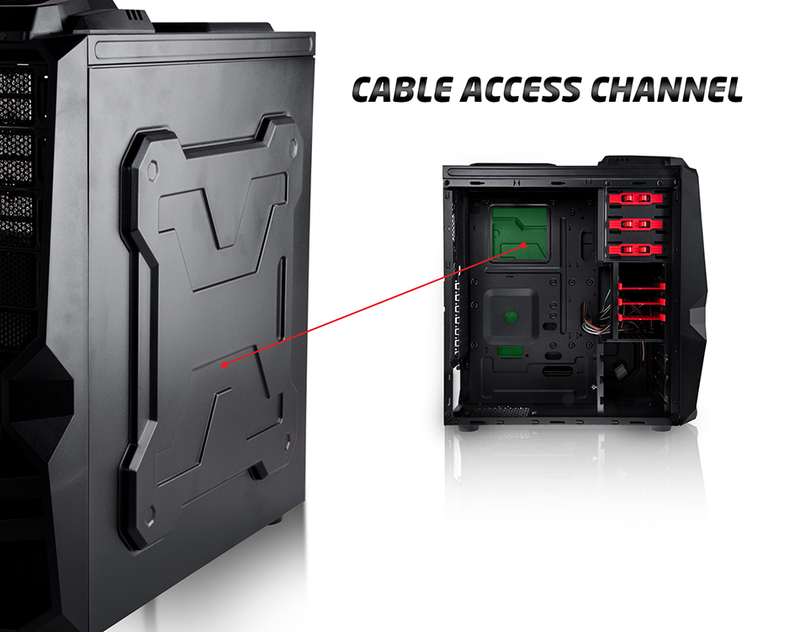 Everest Rampage 72 Black USB 3.0 12cm Led Fan Gaming Case; Cable passing from the back of your motherboard Located in safe passage through the cable channel disorder on the minimum level and allows you to reduce obstacle to visual pollution. In addition to contact with the fan located in the casing of the cable eliminates the possibility. 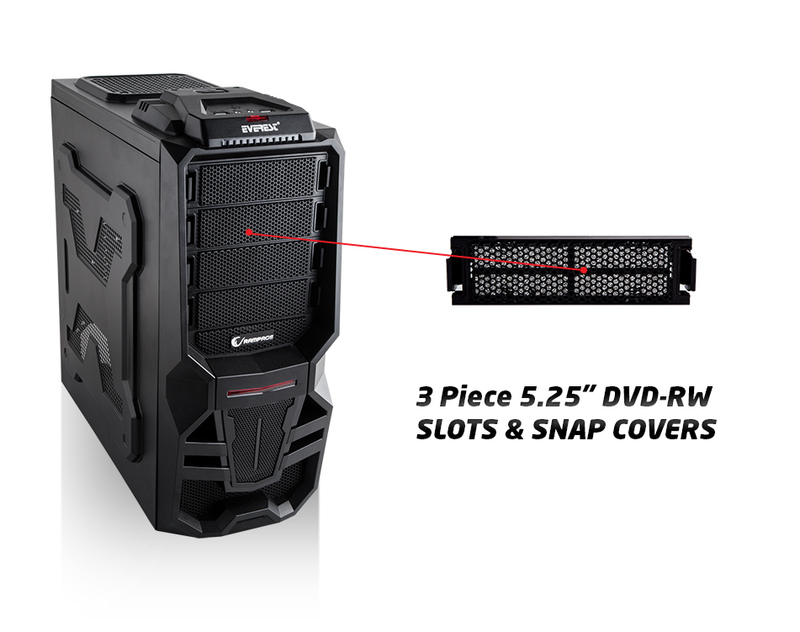 Everest Rampage 72 Black USB 3.0 12cm Led Fan Gaming Case; At the bottom of the cases of the power supply with portable removable filter dust from infiltrating into safe and healthy cooling. 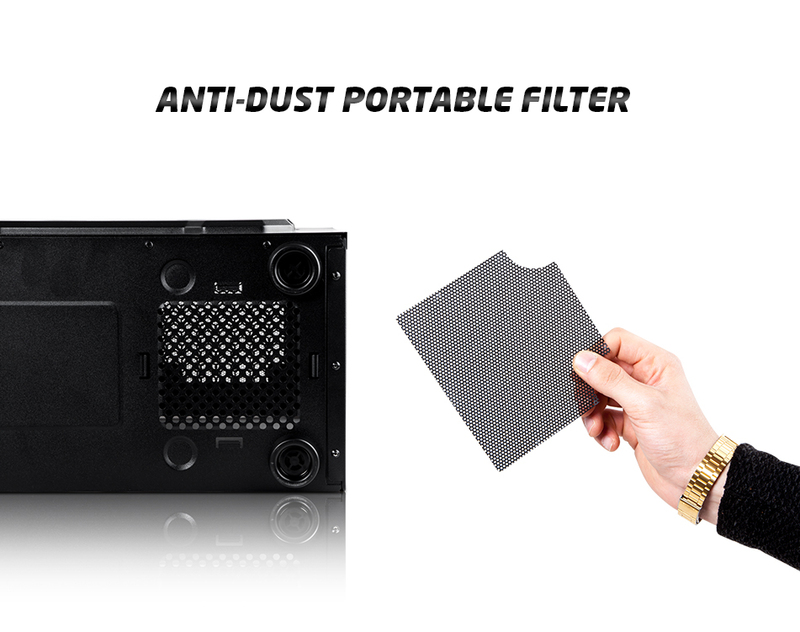 This can easily disassemble and clean the filter at any time.